Clinflor: the probiotic that helps restore gut flora, improve food digestion, and dental health, boost the immune system, and so much more! ClinFlor is classified as a Probiotic which is a natural food supplement, and is described as follows; ‘Probiotics are defined as live micro-organisms which when administered in sufficient amounts can have a beneficial effect on the host’s health’ (WHO). Our digestive system contains both ‘good’ and ‘bad’ bacteria, where in a healthy gut the ‘good’ bacteria outweighs the ‘bad’ bacteria. Probiotics are often referred to as the ‘good’ or ‘beneficial’ bacteria because they help keep the digestive system healthy. Probiotics have been demonstrated to be effective in a variety of gut conditions, including the ones mentioned below. 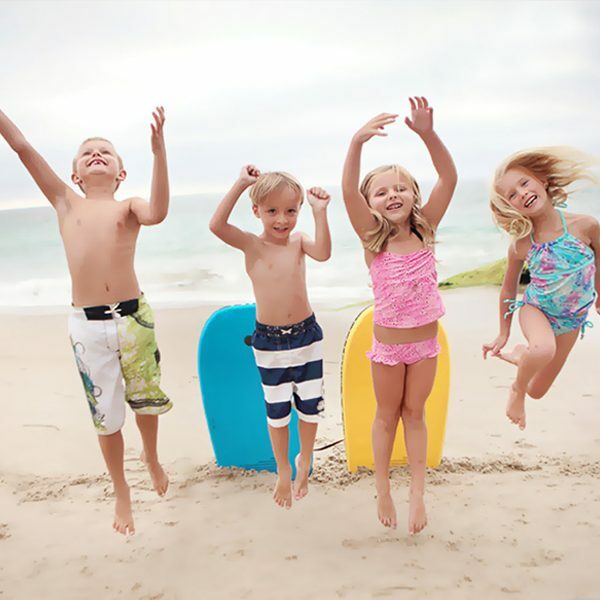 ClinFlor can help to reduce the incidence of traveller’s diarrhoea, and give you the peace of mind to enjoy your holiday. Taking antibiotics can lead to an unbalance in gut bacteria. 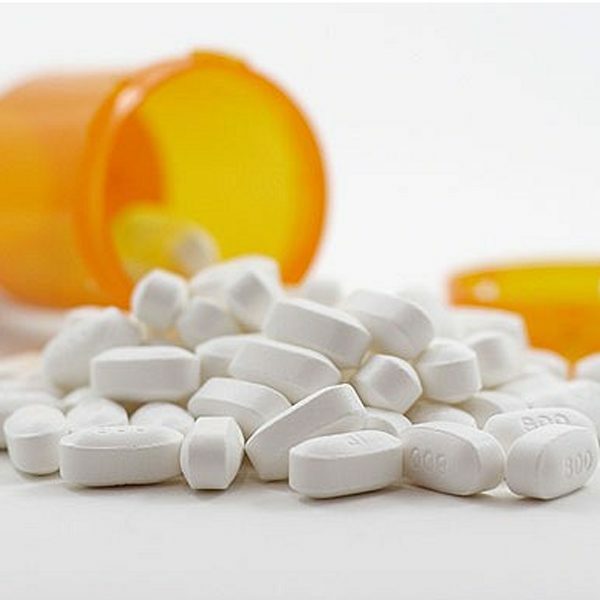 Antibiotics work by eliminating the bacteria found in our bodies during sickness. Unfortunately, they do not distinguish between ‘good’ and ‘bad’ bacteria, leading to a disturbance in the gut, and causing diarrhoea as a side effect. 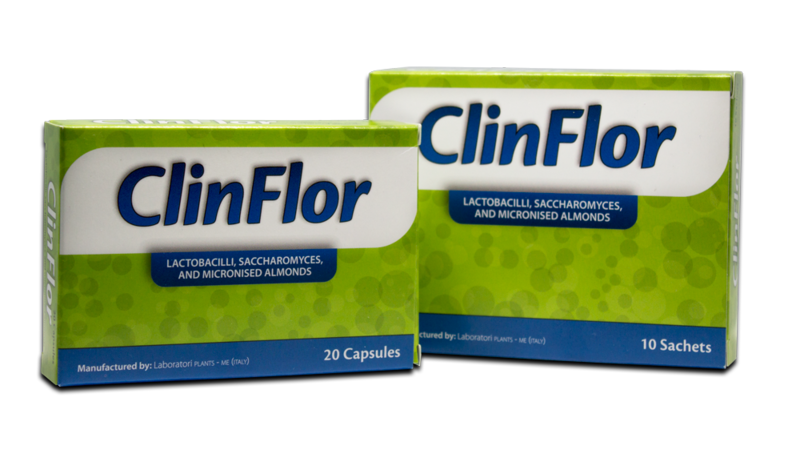 ClinFlor can help prevent antibiotic associated diarrhoea by taking it 1 to 2 hours after consuming the antibiotic. Irritable Bowel Syndrome (IBS) is a gastrointestinal disorder with symptoms including; abdominal pain, bloating, and altered bowel function (constipation/diarrhoea). It can negatively affect the patient’s quality of life due to missed school or working days, and social events. ClinFlor’s primary use in babies and children is to prevent and treat diarrhoea. Diarrhoea in children can be dangerous as it can lead to further complications, such as dehydration. Studies have shown that probiotics help combine stools and stop diarrhoea by restoring the gut’s bacteria balance, thus avoiding further fluid loss, and other complications. ClinFlor sachets are recommended for babies and children under 6 years, where 1 sachet is to be mixed with a glass of water. More information can be obtained from the “ClinFlor Dosage” section. Important – ClinFlor sachets can be mixed with a glass of water or milk (NOT with hot water or milk). When ClinFlor is taken with antibiotics, it is best to take it 1-2 hours after antibiotic administration. Warning – Contains milk derivatives, almonds and possibly traces of other nuts. Where can I buy ClinFlor? ClinFlor is available to buy in pharmacies across Malta and Gozo. How should I take ClinFlor? ClinFlor is available in both capsule and sachet form and can be taken with a glass of water, but should not be taken with hot drinks or foods because the heat can damage the probiotic strains. For more information on dosage intake according to age, please refer to ClinFlor Dosage. Can I take ClinFlor with other medications? Probiotics in general should not interfere with other medications, including herbal or natural remedies, so it is safe to take ClinFlor in combination with any other supplements or medications. Please see the “When should probiotics not be taken?” section. When taking antibiotics, it is best to take ClinFlor 1-2 hours after the antibiotic administration. Can I take ClinFlor when I am pregnant or breastfeeding? ClinFlor contains naturally occurring ‘good’ gut bacteria, wherein studies have shown that having a good balance of beneficial bacteria during and after pregnancy can maintain both the mother’s and the baby’s general health, including the digestive system. However, we would always suggest that pregnant and breastfeeding women should first consult their doctor before taking any medication and supplements. When should probiotics NOT be taken? Usually, probiotic supplements are safe for most people, however immuno-compromised patients and patients with other serious health conditions should not take them. We always recommend talking to your doctor first to make sure they are suitable for you. What are the side effects of ClinFlor? Most people do not experience any side effects with probiotics, but in some cases mild side effects have been reported, which usually last for the first couple of days after you start them, these are; bloating, gas, upset stomach, and diarrhoea. They may also trigger allergic reactions to the ingredients. If this happens STOP taking them and talk to your doctor. 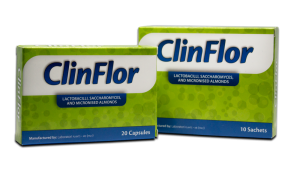 ClinFlor contains milk derivatives, almonds and possibly traces of other nuts. ClinFlor: A Unique Blend of Probiotics! 1. 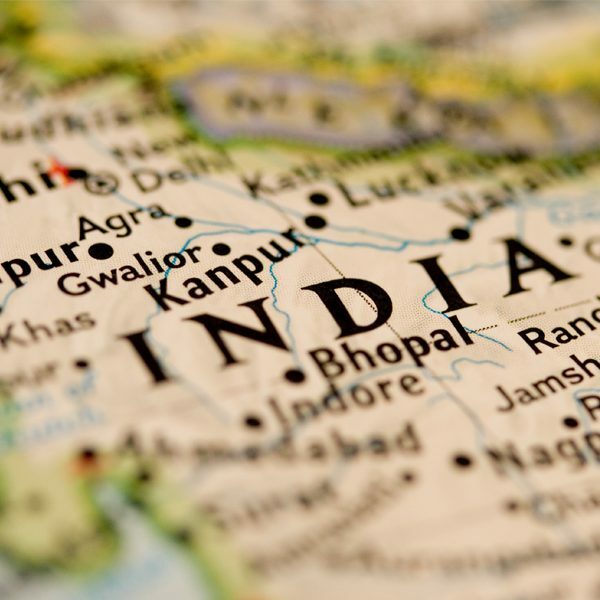 Lynne V. McFarland – Meta analysis of probiotics for the prevention of traveller’s diarrhoea. 2. Shusheng Cui, Ying Hu - Multistrain probiotic preparation significantly reduces symptoms of irritable bowel syndrome in a double-blind placebo controlled study.